Epiclesis in the Latin rite? Epiclesis, picture from the web page of the Roman Catholic Archdiocese of Washington. 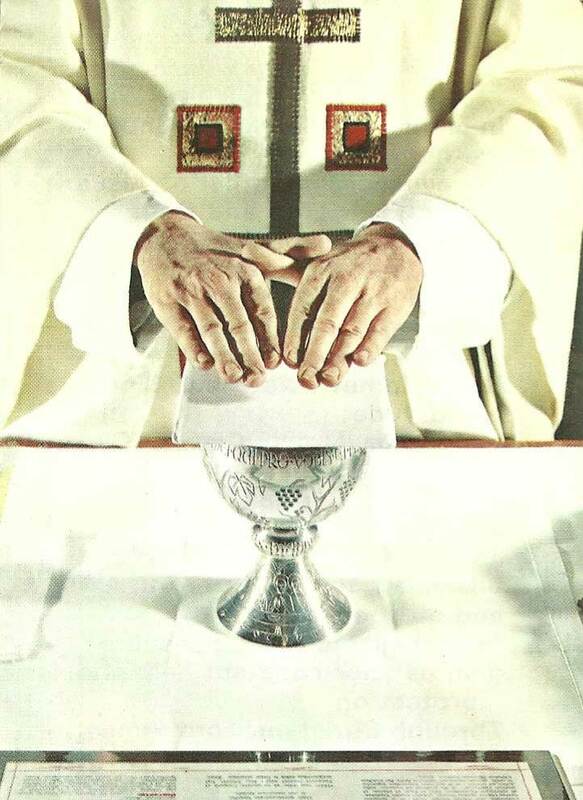 I sometimes hear the claim that during the Middle Ages (and some claim, at the end of the Middle Ages) until the 20th century, the Catholic Church omitted the epiclesis from the Eucharistic prayer, until it was reintroduced in the Ordinary Form in the 1960s. Now this is an interesting claim. It is pretty hard to omit something that never was there in the first place. The traditional Roman Canon (which is found in the Eucharistic prayer of the Extraordinary Form and, altered, in the 1st Eucharistic prayer of the Ordinary Form)[*] never had an epiclesis to begin with, and it existed in differing forms from around 2-300 BC (and was thus 2-300 years older than the start of the Middle Ages). The Roman Canon is, as far as I know, older than most of the Eastern liturgies we have knowledge of. [*] See three aticles on Wikipedia (here; here; and here). For a popularized introduction to the Roman Canon, in its present day ‘ordinary’ form, see Milton Walsh, In Memory of Me: A Meditation on the Roman Canon (San Francisco, CA: Ignatius Press 2011).